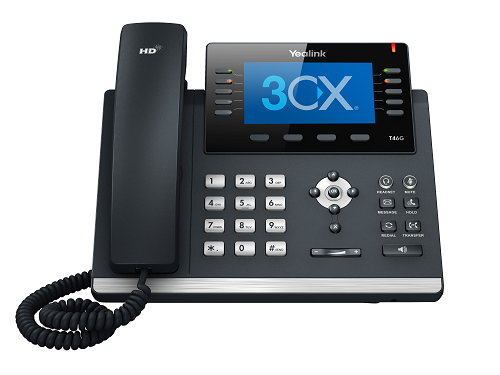 Move to 3CX Phone System –3CX is a software based PBX which runs on mainstream operating systems, and works with SIP standard based IP Phones, SIP trunks and VoIP Gateways to provide a full PBX solution – without the inflated cost and management headaches of an ‘old style’ PBX. Used by more than 60,000 companies globally, 3CX has been recognized for its innovation and cutting-edge technology. Lower your company’s call costs and truly globalize your business by leveraging VoIP Providers and bridging your offices for free inter-office calls. Increase mobility by allowing your employees to take their office extension with them wherever they go! Increase productivity with Unified Communications features that allow you to setup conference calls in a matter of seconds and see the presence of your colleagues. 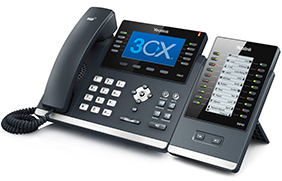 3CX Phone System supports popular SIP phones, VoIP providers and traditional PSTN lines. The web-based management console makes it easy to configure, eliminating the need to hire expensive telecom consultants. Step into the future of web conferencing with 3CX WebMeeting – the new an unparalleled video conference platform which leverages WebRTC Technology for a seamless, user-friendly experience with no need for additional plugins or software. Boost Productivity & Customer Service with 3CX Phone System Pro! Boost your company’s sales by providing superior customer service, increase staff productivity and reduce call costs with 3CX Phone System Pro! 3CX Phone System Pro adds advanced call center features, Exchange/LDAP integration, Salesforce & Dynamics CRM support, cross office presence and better reporting to the standard edition of 3CX Phone System. The Pro edition includes all the award-winning features of the Standard 3CX Phone System edition but also adds fantastic advanced call features that are geared to stepping up your customer service and ensuring your company stays ahead of the competition. Never miss a call! Your customers can hang up and still retain their position in the queue. They’re automatically called back they reach the top of the queue. Review how long your customers have waited in a queue before your employees took the call and see the amount of answered and unanswered calls. Improve customer service by screening calls with the Listen In, Listen In and Whisper and Barge In feature. Massively increase your employee’s productivity by providing advanced call features such as real-time call statistics, wallboards, SLA alerts, a selection of queues and more! The Pro edition also includes seamless Microsoft Exchange Phone book and IVR integration. Monitor the status of queues by seeing how many callers are in the queue. Log staff in and out of queues. Review the time your staff logged in and out of queues. Wallboards – Display real-time queue and call statistics directly on a monitor. Get instantly notified when callers have been in a queue beyond the set SLA time. Meet your customer service requirements by viewing all call events. 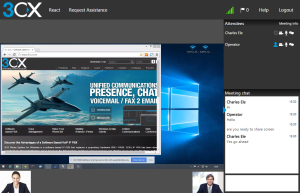 3CX WebMeeting uses WebRTC technology to enable video and voice communications to take place through the internet browser. Participants can now seamlessly join meetings without the need to download any additional plug-ins. You can view the 3CX Datasheet and the 3CX Phone System brochure (PDF) or download 3CX Phone System for Windows here. If you require any assistance with setting up 3CX Phone System, we’re happy to help. Take a look at the 3CX WebMeeting datasheet and find out how your business can cut costs and increase productivity by leveraging WebRTC. 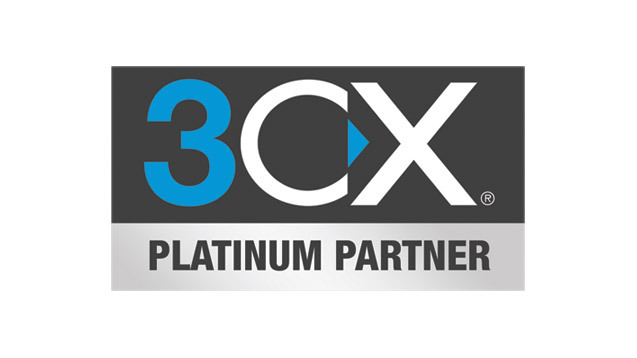 You can read more about 3CX and VoIP on the 3CX VoIP Blog and you can interact with the 3CX Team via the 3CX Facebook Page.